What is a branching scenario? Do your characters have character? Content curation how can it be used? Going beyond blending delivery to …. Is it all button pushing? 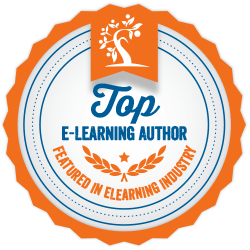 How can you use the elearning manifesto? Branching scenarios are an effective way to practice decision making and demonstrate how to apply particular knowledge or skills. In saying that, there are still too many times when branching scenarios are done poorly when just a little more effort could make a huge difference. An effective branching scenario has the learner practice a decision and then reinforces the behaviour that is required for success. Write clear learning objectives to make sure your branching scenarios have purpose and are reflective of the desired performance. Remember to ask your Subject Matter Expert (SME) to check if they are correct too. Source the content from your SME – the questions you ask will effect whether your branching scenarios are targeted, authentic and going to make a difference. 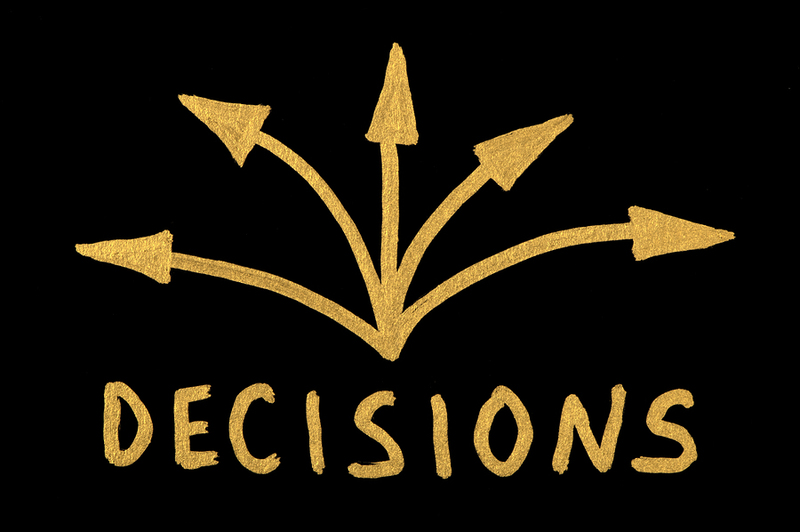 Find out the decision points, common mistakes, what the consequences of making a wrong choice could be, and what the benefits of making a right choice are. Typically the content of a branching scenario has at least three steps – challenge, choice and consequence. I suggest having another step – context – this is where the scene is set before jumping straight into the challenge. Context will help your learners identify with the situation and will make it easier for them to imagine making the choice in the real life situation. Now that your audience has the context, it’s time for a challenge. This should come from decision points sourced from your SME. It is important the challenge is both realistic to your target audience and has an appropriate level of challenge. If it is obvious what choice should be made then both your challenge and your choices will need reworking. It will be more memorable if your challenge connects and evokes an emotional response from your audience. Next is presenting the choices – how can your audience solve the challenge? Choices should be grey and not black and white – there should be the opportunity to make mistakes, with the ‘desired choice’ not being immediately obvious. In fact there could be more than one technically ‘right’ choice but the business prefers one of the ‘right’ choices/behaviours over the other. You could present conflicts between two desired behaviours to find grey areas e.g. not giving out private information but at the same time maintaining customer service. After all life is full of grey and conflicting situations, and we want to simulate real life decisions as much as possible. Do not design for the lowest common denominator, instead design to engage thinking. 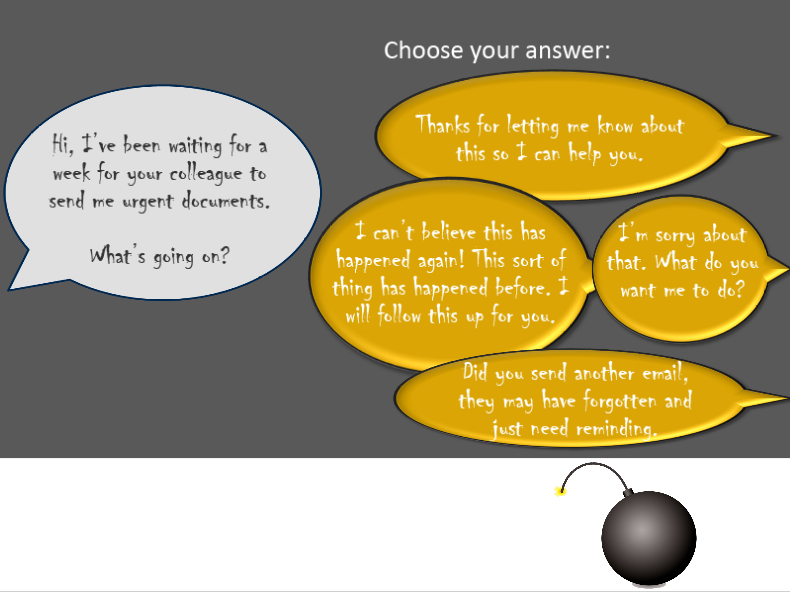 Providing feedback is the most important part in a branching scenario yet it is often the part that’s done the worst. It can seem like it’s just tacked on at the end to placate the learner e.g. “Your answer is incorrect because you should have chosen the other option”. The most powerful feedback is feedback that simulates the consequence of making the choice, rather than telling you about the consequence. Check in with your SME to ensure the feedback is realistic and believable and adapt as necessary. Also think about the natural source of feedback. Would feedback come as an action, a sound, a work consequence? Does the feedback come from a person, a customer, colleague or manager? Branching scenarios should involve imagery. Do not scrimp on this – it is relatively cheap to source quality graphics. Include images of a realistic environment (setting). Characters that look real with realistic emotions rather than stock image graphics. Use the characters and pictures to build a story within your branching scenario. If you have text in your branching scenarios make sure the voice and tone of the text is appropriate for the scenario and your audience. Remember you can also use sounds and video to enhance your branching scenarios – the possibilities are endless. Building better branching scenarios is not about the tool you are using to build them. Better branching scenarios are better because the design of them is better and the correct content is sourced from the SME. I’d love to hear your techniques for building better branching scenarios, go ahead and add a comment below or follow me for more elearning tips and thoughts. 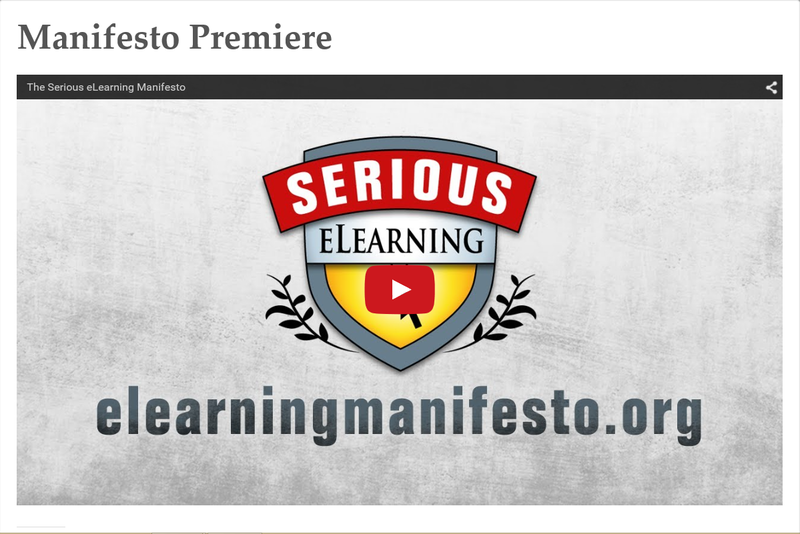 How can you use the Serious eLearning Manifesto? Wouldn’t it be great to have a concise guide to share with your clients and stakeholders about what high quality elearning should be? Well major thought leaders – Michael Allen, Julie Dirkson, Clark Quinn and Will Thalheimer – have done just that! Together they have produced a Serious eLearning Manifesto intending to lift the quality of elearning (and learning) that is delivered in organisations. I wholeheartedly agree with characteristics and principles listed in their manifesto – http://elearningmanifesto.org/ and think it is wonderful for them to share with the learning community. You could use the manifesto as a quality assurance tool to make sure any elearning your organisation does hits the mark and is going to make a difference to performance. Why not use the voice of thought leaders to help influence what quality elearning should be like in your organisation (or alternatively when elearning shouldn’t be used). 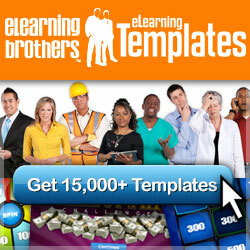 The elearning manifesto website is so easily sharable with stakeholders and clients. It’s great to have professional backing that is concise and without a lot of learning jargon. This way it’s not just your opinion – it’s the voice of experts in the field. If you have been in the elearning game for a while most of the characteristics and supporting principles of the Serious eLearning Manifesto probably seem common sense. Why not pick a couple of points to improve on to raise the quality of your elearning design – I have! I’ve always said “the most dangerous thing for learning – is thinking you know it all already”. The eLearning Manifesto gives us the opportunity to critique our own work and find ways to improve. How else can you see the Serious eLearning Manifesto being used? Please share your thoughts, follow me to hear more of mine. Instructional designers are not usually experts on the topic they are designing learning for. 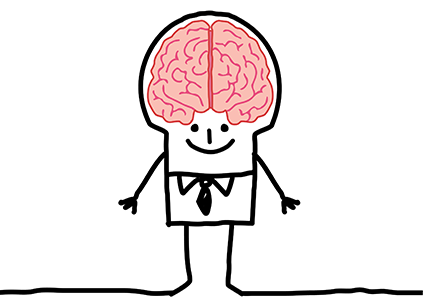 Instead they are specialised in applying learning theory to solve problems and improve performance. This is why it is so important for Instructional Designers to work in partnership with Subject Matter Experts (SME), who are the experts in the learning topic. When developing choices and consequences in a branching scenario, utilising your SME’s expertise will make the difference between a good branching scenario, and a great branching scenario! If your SME can visualise what you are going to do, they will find it much easier to provide you with useful content. You can show what a branching scenario is by drawing a diagram on the board, show an example of a branching scenario you have done for another client/customer, or send them a good you tube or blog link that explains a branching scenario. Brief your SME on what you need from them. This helps prevent any role confusion and makes it easier for both you and your SME. It is not your SME’s role to do any design of the branching scenario, though suggestions and ideas from your SME should always be gratefully accepted. It is also not their role to spend time on wording or the flow of the scenario. It’s the Instructional Designer’s role to translate the content sourced from the SME into learning activities. I’ve found it useful and time effective to workshop branching scenario content verbally with the SME (whether by meeting in the same location, over the phone, or video conference) rather than asking the SME to provide the scenario content in writing. This takes the pressure off your SME; after all they are sacrificing their valuable time to help you! It also gives you more opportunity to ask questions and get clarity from your SME. To check for accurate content and a realistic branching scenario make sure your SME is involved in reviewing at multiple stages, including the storyboard, draft and final stages. If this post was useful for you, let me know by liking this post. Follow me to receive notifications of new posts. Rather than passive absorbing of information the learner is engaged in making choices. Branching scenarios focus on action i.e. the learner has to make the choice to do something. This leads to much more powerful learning than having to recall information or facts. Branching scenarios are a great way to spice up dry topics. I have found they work well in compliance courses and for training new or existing legislation to staff. When branching scenarios are used in these topics it shifts the focus on to what staff need to do. By having this focus it helps to avoid getting bogged down in heavy content or complicated legislation. You can design a branching scenario to be as complex or simple as you like to fit within your projects time contraints. Design and development time will increase with the more branches (decision points) your scenario has, more choices at each decision point, having more than one correct pathway, and having multiple levels of consequence (not just right and wrong) e.g. a partially right consequence. Top tip: Get faster by keeping templates of your branching scenarios, then reuse them again and again for multiple projects. When speed is needed a simple branching scenario can provide powerful results. No branching scenario needs to look the same, your only limitation is your imagination. You can use different branching structures. You can also use mulitmedia in different ways to present the branching scenario e.g. animations, photos, video and audio. Each new branching scenario can look original and innovative. You can design and build a great branching scenario in Powerpoint without needing to code or know any specialist tools. A strong branching scenario is more about learning design than development skills. You will have more options if you’re saavy in tools such as Captivate and Articulate Storyline but they are not pre-requisites for building awesome branching scenarios. If you liked this post, click follow on the sidebar to receive email notifications of future posts. What are your thoughts on the benefits of branching scenarios? 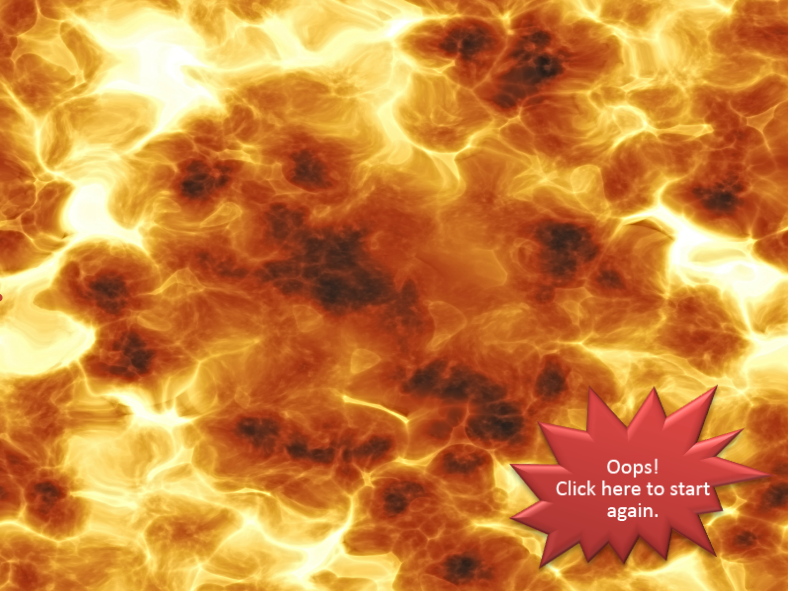 Branching scenarios are often one of my ‘go to’ activities in my elearning courses. A branching scenario places the learner in a situation where they are presented with a challenge and ‘need to make choice of what to do’. It guides the learner towards achieving the learning outcomes by learning what to do through consequences and feedback. If the learner makes a good choice a desired consequence will occur, if they make a poor choice a negative consequence will occur. Branching scenarios focus on interactive learning rather than passively absorbing information. Tom Kulmhann suggests one way to build branching scenarios is to use a three Cs approach, Challenge, Choice and Consequence – http://www.articulate.com/rapid-elearning/build-branched-e-learning-scenarios-in-three-simple-steps/. This is a great simple way to start building branching scenarios. Branching scenarios can be easy to assemble and can even be done with tools such as Powerpoint. All that is required is that you can click on different options that will take you to a new slide with consequences and feedback on your choice. However, this does not mean that branching scenarios are easy to create! The real skill for creating a branching scenario is in the thinking behind how to translate the learning outcomes into behaviour choices with realistic consequences and feedback. To make a successful branching scenario there needs to be a balance of challenge, where the learner has to actively engage and think about what choice to make, and it is not too easy to select the correct answer. The choices and consequences need to also be realistic so the learner can imagine themselves in the situation in real life making similar choices. Use these tips to make your branching scenario more engaging, no matter what elearning tool you are using! By setting a challenge for the learner you can turn a simple branching scenario into something that is much more fun!! Make it memorable and exciting by turning choices into a mini game. Imagine practicing customer complaint skills by playing a game. Below is an activity that does that. 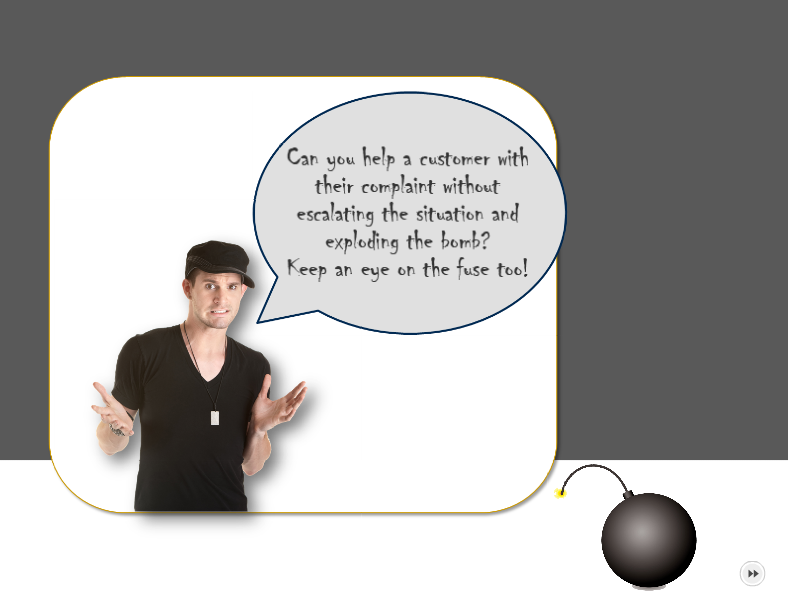 Can you help a customer with their complaint without exploding the situation? If you choose an aggravating response you will explode the situation. If you choose a not so good response the fuse will shorten bringing the situation closer and closer to exploding! More powerful learning occurs when we can imagine ourselves in the real world situation making decisions. Some ways you can help the learner imagine themselves in the situation is to design your visuals and media to fit the audience and use “you” language. In the game above there was two types of audiences who dealt with complaints, one took complaints face-to-face and the other over the phone. The speech bubbles going off to the side meant that either audience could imagine themselves in the conversation. Like a story an essential ingredient in a branching scenario is building emotion. Incorporating emotion changes the elearning from being factual and distant to being personal and engaging. Incorporating emotion can be done in a variety of ways for example; through humor, using multimedia such as audio and video to create mood; developing characters through the branching scenario by giving them dialogue and actions to suit their personality; have characters show relevant (or exaggerated) facial expressions; and having elements of surprise. Make the scenario as realistic as possible, that includes building in the mistakes people are likely to make. This is where your SME is invaluable, as they will have insight into potential and/or existing misunderstandings. You can then build these into your branching scenario. This will give not only give your learners the opportunity to receive feedback and learn from their mistakes in a safe environment, it will also help them avoid making the same mistakes when applying the learning. 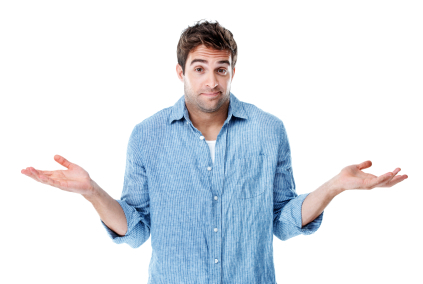 It’s tempting to include responses that are easily identified as being right or wrong. However, if you include the grey areas – where the responses that have a mixture of right and wrong, you then motivate the learner to think more deeply about which action or response to take. Have you ever completed a course where you have just gone through the motions as it’s been too easy to identify the right and wrong responses? By including the grey areas you will not only make the branching scenario much more challenging, it will also engage your learners on a deeper cognitive level. I’d love to hear what your thoughts are on making more engaging branching scenarios. Branching scenarios are always much more interesting than reading a page of information. However, when presented in a multiple choice style, with question text, and then an a, b, c or d response, they become predictable and not overly engaging. It also makes them look like a test which can be a big turn-off! How will the learning be put into practice? Do learners need to choose between different objects, conversation responses, or actions? 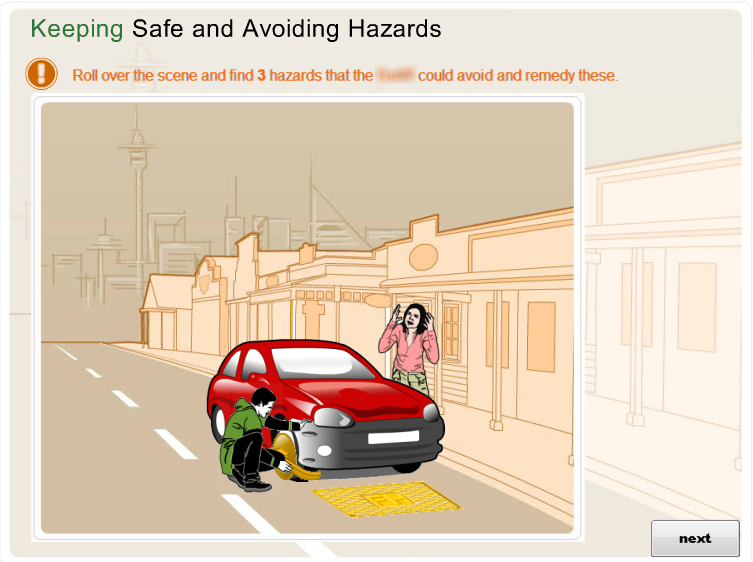 In the example above, the learners have to first find the hazards in the scene, then make choices on how to minimise them. This design is engaging as it makes it easy for the learner to imagine themselves in the real situation. “A picture is worth a thousand words”. Use visuals and multimedia to convey key messages. It is much quicker and more memorable for a learner to source key information from visuals rather than reading paragraphs of text. Let’s face it we’re in a world where people want access to information fast, this includes their learning! Design a theme for your branching scenario. Choose the type of graphics you will use, photos, illustrations or a blend of both. Choose fonts that reflect your topic and match the graphics. Choose a colour scheme and use this consistently. Designing a theme will give you consistency and will make everything look like it belongs together. Think of your branching scenario as telling a story. For example, in a children’s story book the illustration style remains consistent. It doesn’t suddenly change half way through. There are many more ways in which to design better looking branching scenarios. Is it OK to take a blogging break?